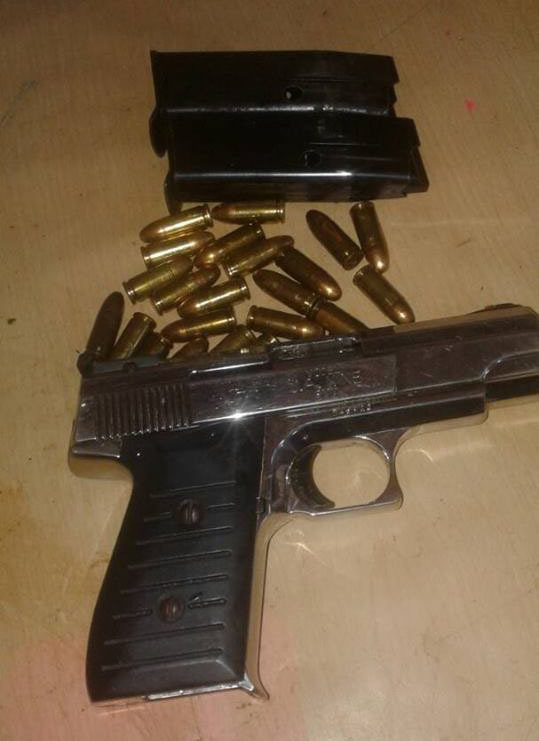 Police yesterday arrested a 63-year-old man after he was found in his camp in the Cuyuni River with an illegal gun and ammunition by ranks who were investigating a report of threats made against him. According to a police press release, the police seized an unlicensed 9mm pistol, 23 live matching rounds as well as two magazines for the said firearm. It stated that ranks responding to a report of threats made against the suspect, approached his camp about 09:30 hours. The sexagenarian who the release said was resting in a hammock upon seeing the ranks quickly tossed the pistol into a box in which the ammunition and the firearm components were also found. The Duncan Street, Kitty resident is currently being processed for court.